We carefully analyze each case that comes our way. We know that losing your long term disability benefits can be devastating and we are devoted to advocating for the disabled. If we take on your case, it is because we believe we can win. We expect to resolve matters on terms favorable for our clients – every time. Our reputation precedes us. Since its formation in 1993, Bemis, Roach & Reed has been recognized for the professional excellence of its partners and its success in the courtroom. We have tried countless cases to verdict – our trial skills have been honed with national experience in the federal district courts and courts of appeals and statewide in the Texas system. Our courtroom experience, at the federal level, is what sets Bemis, Roach & Reed apart. We have successfully litigated against virtually every major long term disability insurance carrier in the United States. We are familiar with their claims handling practices and the lawyers who will defend them. Social Security Disability benefits (SSDI or SSI) are difficult to obtain. There are deadlines for filing, endless paperwork to complete, and complicated guidelines for determining whether or not you will be eligible. A qualified social security lawyer with specialized knowledge in Social Security Disability law is far more likely to obtain the maximum benefits than a lawyer without the same experience. It is even more important to have a successful litigation attorney on your side if you have been denied ss disability benefits. Let one of our winning social security lawyers fight for the disability benefits you deserve. Long term disability insurance companies routinely deny disability coverage having decided that they are not governed by the state disability laws, but by federal ERISA law. As a result, people suffering with disabilities are forced to navigate the highly intimidating Federal Court system. The application forms can be confusing and involve many deadlines that need to be met in order to receive a favorable judgment for disability benefits. Luckily your chances of success go up as much as 50% when filing a claim with an experienced disability lawyer at your side. If you are considering employment with the State of Texas or with an institution of higher learning, Bemis, Roach & Reed strongly advises that you take advantage of the disability insurance benefit offered by ERS at the outset. An applicant or an employee who fails to enroll within 31 days of his first day of work will not be offered disability insurance unless he can provide Evidence of Insurability. The applicant will pay all expenses related to obtaining Evidence of Insurability and there is no guarantee that you will be approved. Since 1993, our legal team has focused our attention on disability and Social Security law. Whether your disability is related to illness or injury, we have the experience to help you. 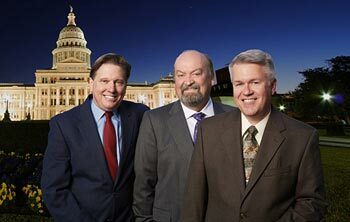 Our Partners, Lloyd E. Bemis, III, Lonnie Roach, and Greg Reed are all Board Certified in Personal Injury Trial Law by the Texas Board of Legal Specialization. Lloyd E. Bemis, III is also Board Certified in Consumer and Commercial Law by the Texas Board of Legal Specialization. Only 10% of all attorney’s in Texas have earned the honor of being Board Certified by the Texas Board of Legal Specialization. The firm also has the highest rating (AV) under Martindale-Hubbell’s Peer Review system. The Bemis, Roach & Reed team of highly qualified legal professionals, and our skilled support staff, share a commitment to protecting the rights of every client. We work aggressively to help clients who have been denied insurance benefits, life insurance benefits, long term disability benefits, or social security disability. Though many cases are settled out of court, Bemis, Roach & Reed are skilled trial lawyers who are well reputed among our peers, referred by former clients, and respected by judges and lawyers in courtrooms throughout Texas. When you contact us for a free initial consultation, you will meet directly with one of our attorneys who will listen to the facts of your case, and let you know what we can do for you. You need no money to retain us as counsel. Our compensation is deferred until we win. Located in Austin, Texas, our attorneys have successfully resolved cases for personal injury clients located in Austin and throughout Texas, including San Antonio, Houston, Dallas, Fort Worth, El Paso, Galveston and Corpus Christi. Being disabled often makes traveling difficult, but with today’s technology you never have to physically come to our office. We can handle everything through email, fax, scan, and phone. Don’t let distance be a reason not to call us. We can help you, no matter where you are located. Austin Social Security and Long Term disability lawyers of Bemis, Roach and Reed were recognized as AV Rated attorneys by Martindale-Hubbell. The AV Peer Review Rating is an outstanding achievement. This elite status demonstrates that an attorney has earned the highest rating available for their legal ability and professional ethics. Partner and Austin disability attorney Lonnie Roach earned an AV Preeminent Rating of 5.0 out of 5.0 for his ethical standards and legal ability. Mr. Roach specializes in ERISA and long term disability cases. He is board certified in personal injury trial law by the Texas Board of Legal Specialization. Mr. Roach is the primary appellate lawyer at The Law Offices of Bemis, Roach &amp; Reed. Additionally, he has successfully argued cases before the Texas Court of Appeals, the Texas Supreme Court and the United States Court of Appeals, Fifth Circuit. Has your disability been denied? Most disability claims are denied initially. Fortunately, your chances of winning needed benefits go up as much as 50% with an experienced disability lawyer. The LTD and SS lawyers of Bemis, Roach & Reed have been helping folks just like you win claims since 1993. We urge folks not to give up. Your financial future is too important not to fight for the assistance you deserve. Give us a call and let us help you explore your options, the consultation is completely free, and we would love to help. We have an A+ BBB rating, have won client service awards and are listed in SuperLawyers. Know what your rights REALLY are, let us fight for you. Please don’t delay, there may be deadlines expiring. Call 512-454-4000 and get help today!